These little amaretti cookies are delicate and sweet. Each one is soft and full of almond and fruity flavors. This recipe uses strawberry jam, but you can use any flavor sugar free jam you’d like. My favorite brand to look for is the Polaner with added fiber (as this is usually the lowest carb option). They’re the perfect keto dessert or snack to make for the spring time that’s upcoming. Make sure you don’t miss out! These cookies are great to give as gifts, too. Add them as a part of a gift basket since they’re so beautiful and festive, everyone will be thrilled – especially if they’re keto. As an added bonus, they’re only 89 calories and 1.17 net carbs each, so you can indulge quite heavily with them! There’s never anything wrong with that! 1. Preheat your oven to 350°F. 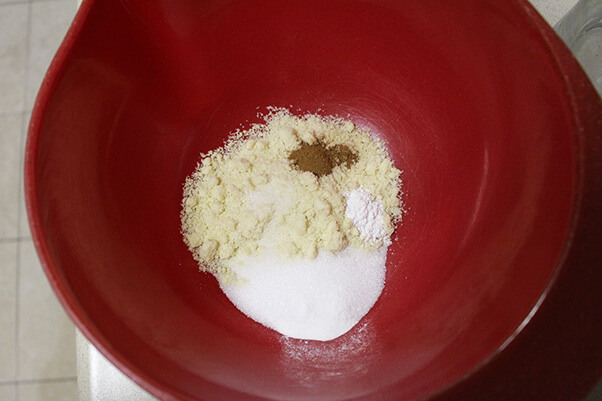 Combine all your dry ingredients and whisk (or sift prior) to get rid of any clumps. 2. Add in your wet ingredients and combine very well. Use either a whisk or a hand mixer. 3. 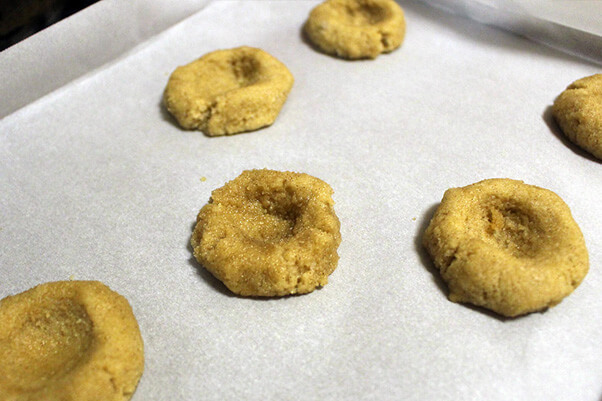 Form your cookies on a parchment paper lined baking sheet. 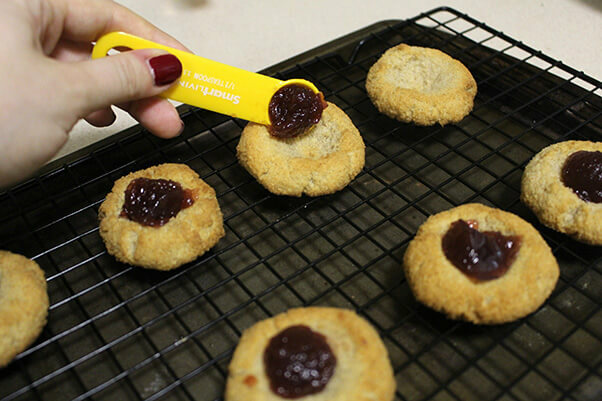 Add an indent to the middle of each cookie using your finger or the back of a measuring spoon. 4. Bake for about 16 minutes or until the cookies turn golden and crack slightly. 5. 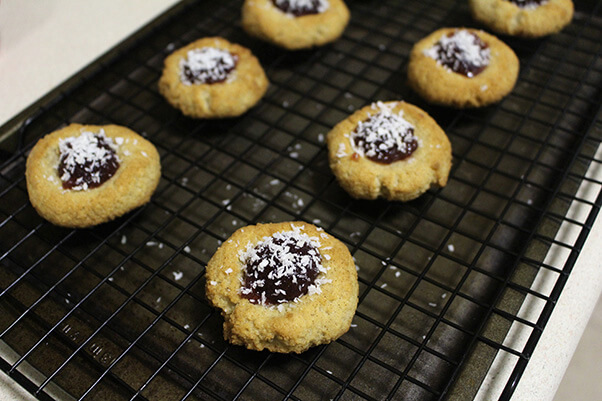 Let the cookies cool on a wire rack and fill each indent with sugar free jam. 6. 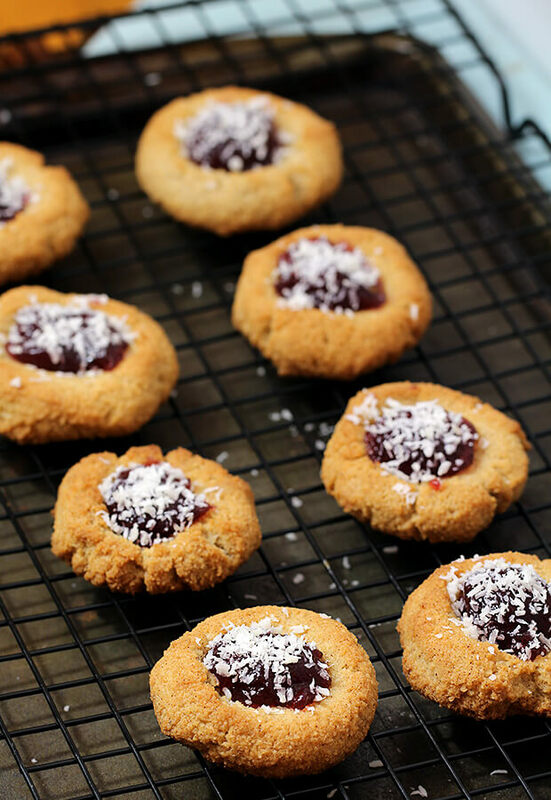 Lastly, sprinkle some shredded coconut on top of each cookie. 7. Dish out and serve. Enjoy a new favorite keto snack or dessert! This makes a total of 16 Keto Amaretti Cookies. Each cookie comes out to be 89.38 Calories, 8.11g Fats, 1.17g Net Carbs, and 2.43g Protein. Preheat your oven to 350F. 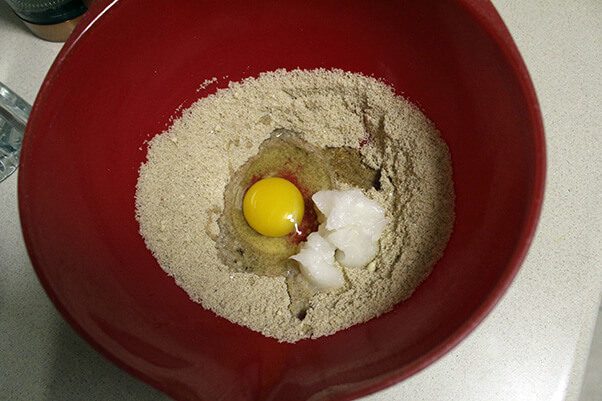 Combine all your dry ingredients, then add wet ingredients and combine well. 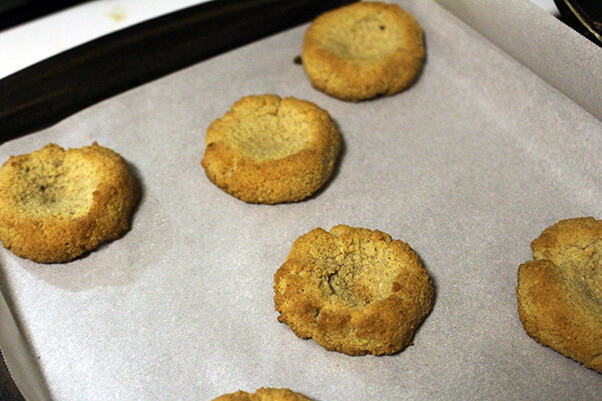 Form your cookies on a parchment paper lined baking sheet. Add an indent in the middle of each cookie using your finger. Bake for about 16 minutes or until the cookies turn golden and crack slightly. 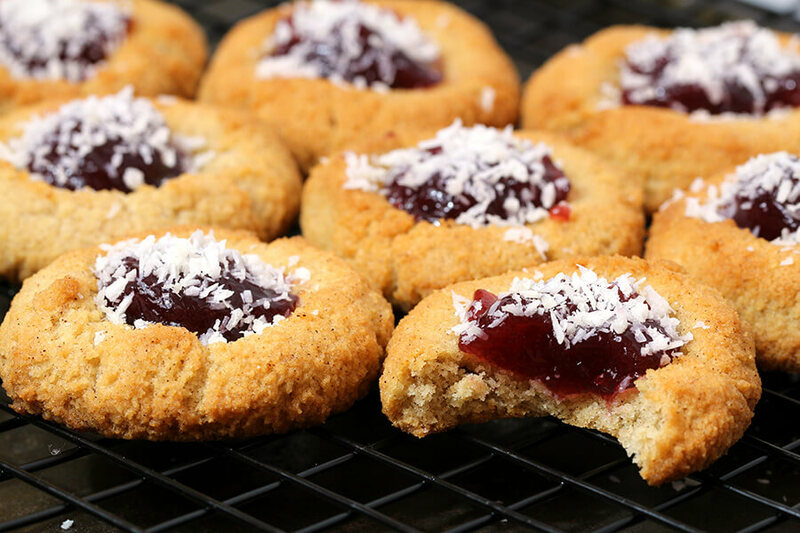 Let cookies cool on a wire rack and add a bit of sugar free jam to each indent. 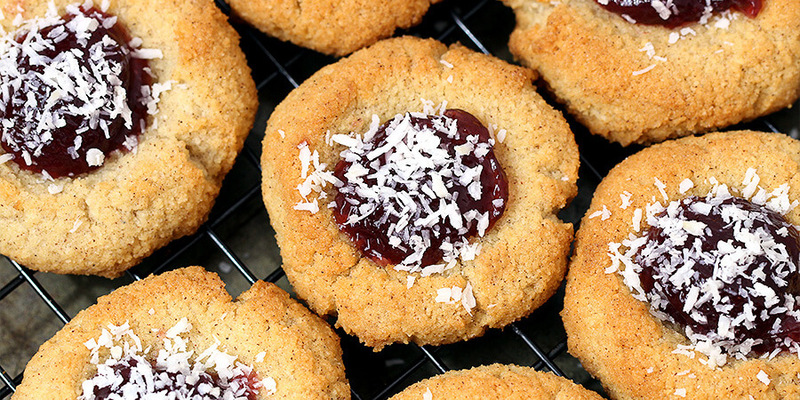 Sprinkle some shredded coconut on top of each one and enjoy!